Croatia national team has successfully completed yet another qualifying campaign, with numerous volunteers contributing to the quality organization of home matches. Croatian Football Federation would like to express gratitude to all the volunteers who have invested their effort, energy, and knowledge in the organization of Croatia's home matches in Zagreb and Rijeka, during the recently completed World Cup qualifying campaign. For several years, the volunteers are an integral part of the organization of Croatia's matches, similar to the organization of major sports competitions such as Olympic Games, European or World Championships. Participating in such important sports events is a unique experience for young and ambitious people. Volunteering at the European Qualifiers in this World Cup campaign was an excellent opportunity for all volunteers to acquire useful, practical skills, as well as to make new friends. 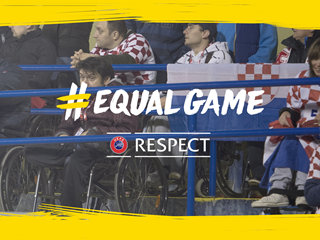 The volunteers at Croatia's matches assist in various organizational aspects, according to their qualifications, education, and/or experience, directly supporting the Croatia national team.